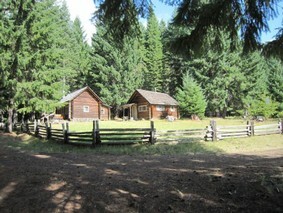 Nestled in the High Cascades of Western Oregon, you will find the Fish Lake Guard Station. The Station is a Forest Service administrative building group constructed in the early 1900s, and was in regular use between then and the 1960s. It hosts 18 historic buildings, structures, and sites, as well as two non-historic buildings and other structures. This year's PIT volunteers will received some initial training and orientation to the compound, its history and that of the local area. Volunteers will then welcome visitors, provide information, and answer questions about the Complex and its use over the past 100 plus years!